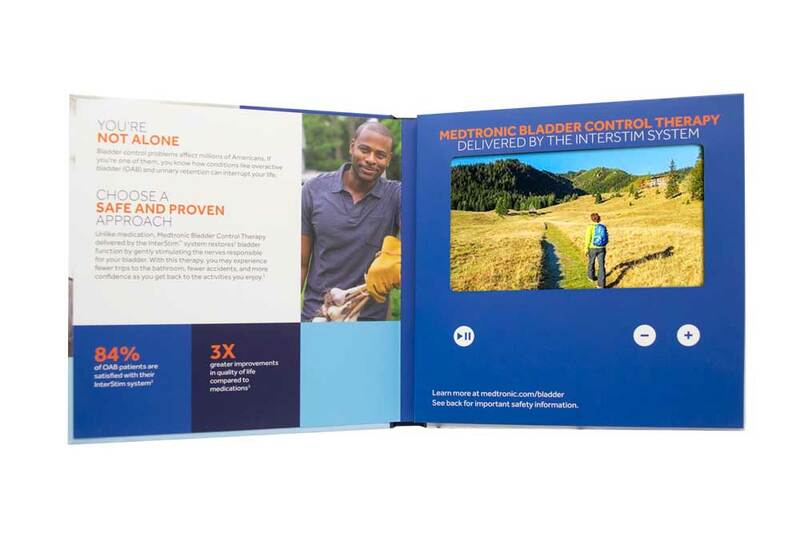 Medtronic needed an innovative mailer to target key patients to educate them on its new device which offered a “new and better choice” as compared to the current treatment options. 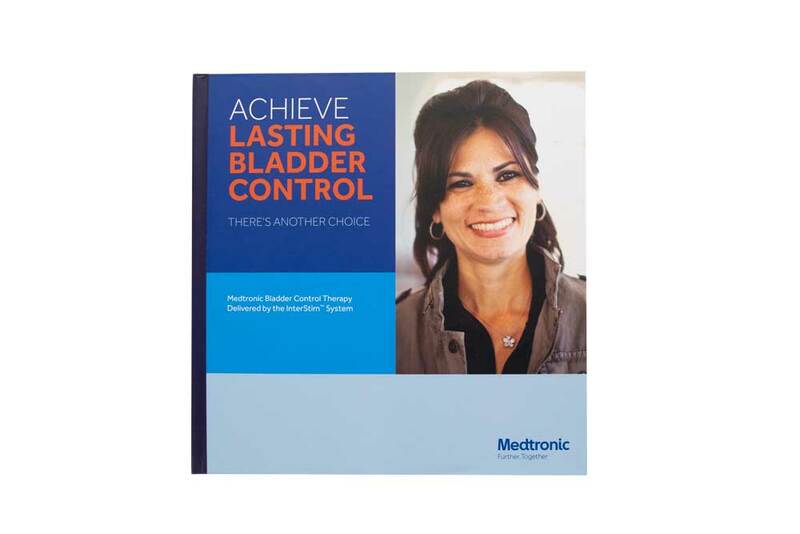 Americhip worked with Medtronic to create an innovative and informative hardcover video book that explains to these patients why the new medical device gives them a better quality of life. 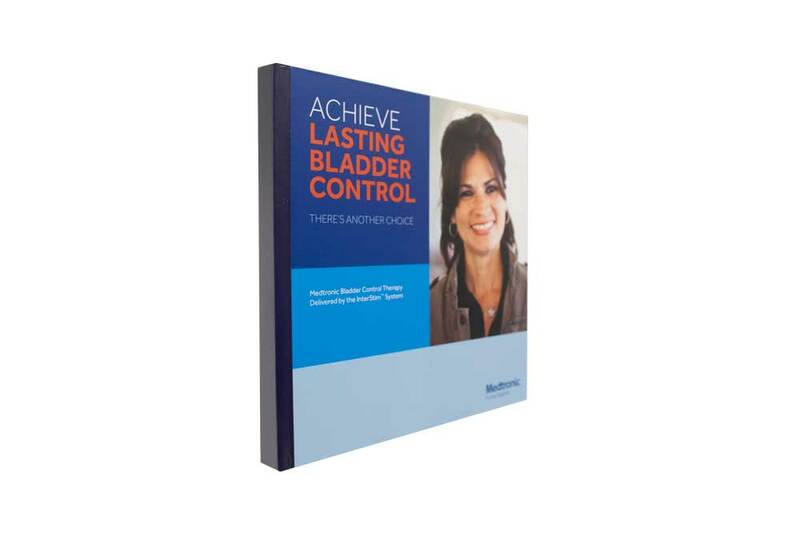 When your product has an 84% approval rating and a 3X improvement in quality of life as compared to the alternatives, you need a marketing tool that will cut through the clutter and grab patients’ attention to ensure they hear your message. Partner with Americhip to create a cutting-edge Patient Education Video Mailer to launch your next new device. Love, love, love the new video folder. Nicely done! I honestly can't say enough about how wonderful these are. So well done and produced in a short period of time—that has really wow' d our customers. The video brochures are the most impactful marketing piece we've had in years."